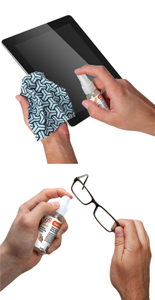 The BuzzSpray™ is designed to remove smudges, fingerprints, dust, and debris from your electronic gadgets and eyeglasses. 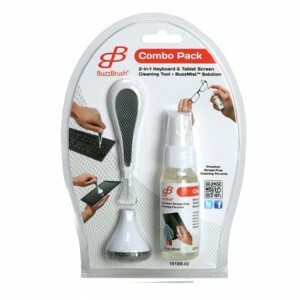 With a delicate mist, the BuzzSpray™ formula includes anti-drip and anti-static properties. 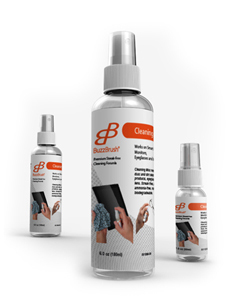 BuzzSpray™ provides a clean, streak-free surface. The solution is alcohol-free, ammonia-free, biodegradable, and non-hazardous.